A lamp cannot please a blind man. 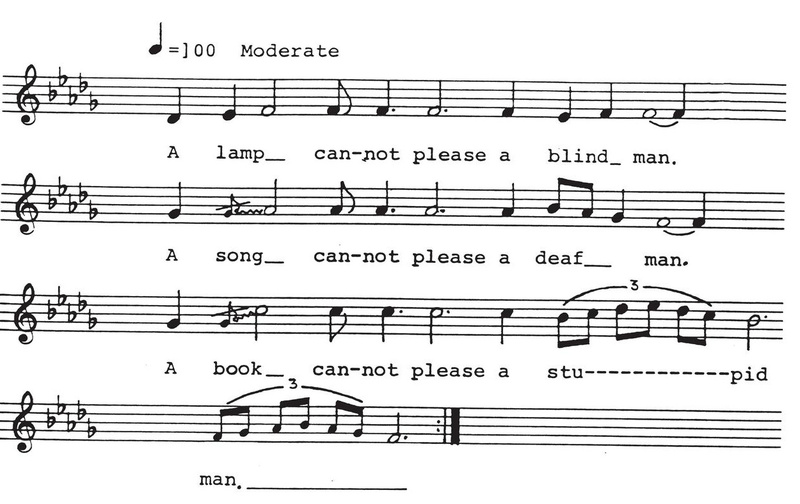 A song cannot please a deaf man. A book cannot please a stupid man.